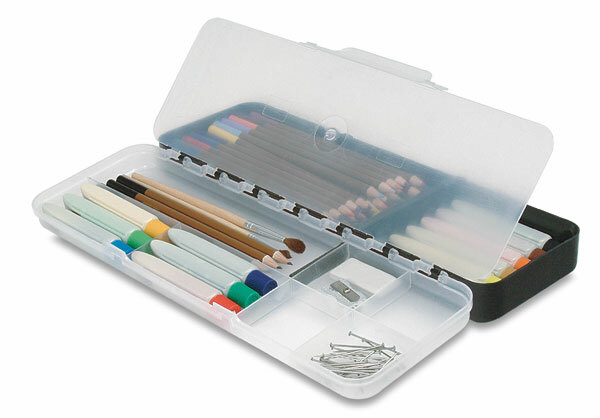 ArtBin's Sketch-Pac holds sketching and graphic arts tools such as pencils, pens, charcoals, erasers, and brushes. With two sides divided by a transparent layer, there's twice the storage space. Sketch-Pac's pencil wells feature foam pads to protect sharp pencil points and blades.